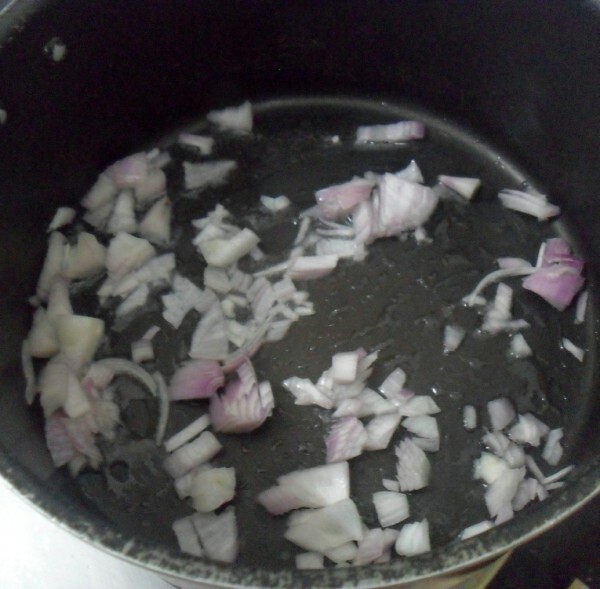 When it came to N, I knew which dish I had to make, as there was something long pending, calling my attension. I have so many versions bookmarked, written down and noted for the Navarathna Kurma, yet never came close to even planning it. It was only natural that I finally plan on making my own version of Navratna Kurma for this Marathon. During my chatting with Vaishali, I realized another interesting factor based on what she said she has planned for another interesting letter. Though my K was not Kurma, I knew I can’t use my another Kurma dish that was ready for the other letter. Anyways you will read about it when it is time for that letter. Left to me, I would always write it as Kurma. I cannot get myself write it as Korma, kormaa, qorma, khorma. Blame on my laid back sense of names. 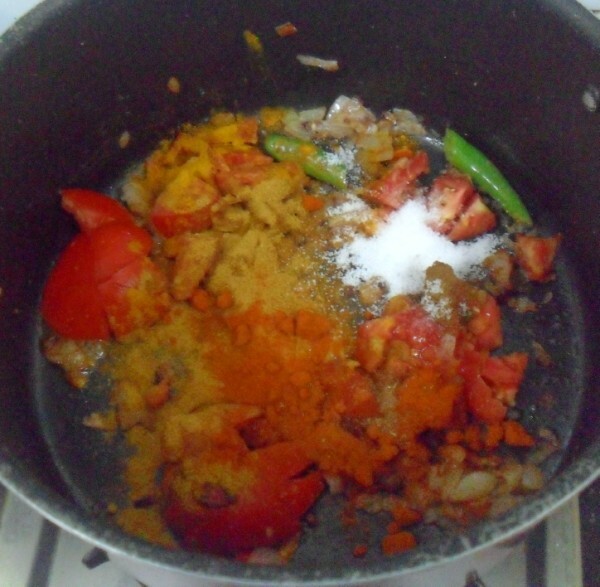 However during my initial years of blogging, I realized that the gravy what we call as Kurma and associated to south, was infact quite common in North Indian cuisine as well. 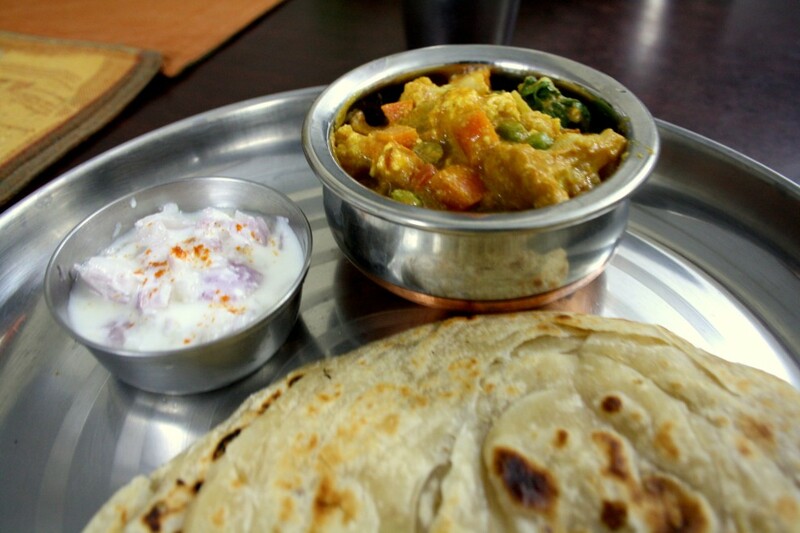 From Wiki I read that the name Korma is derived from the Hindi and Urdu words for “Braise”. 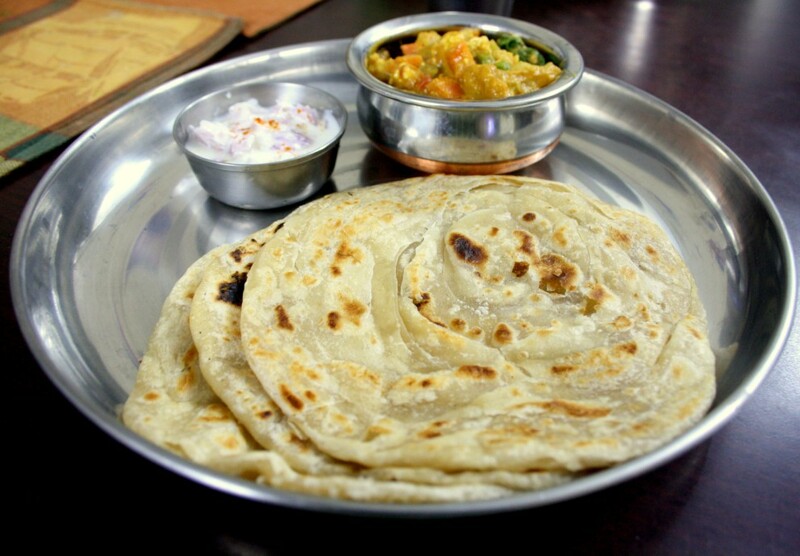 It is a characteristic Indian dish which can be traced back to the 16th century and to the Mughal incursions into present-day Northern India, Pakistan and Bangladesh. 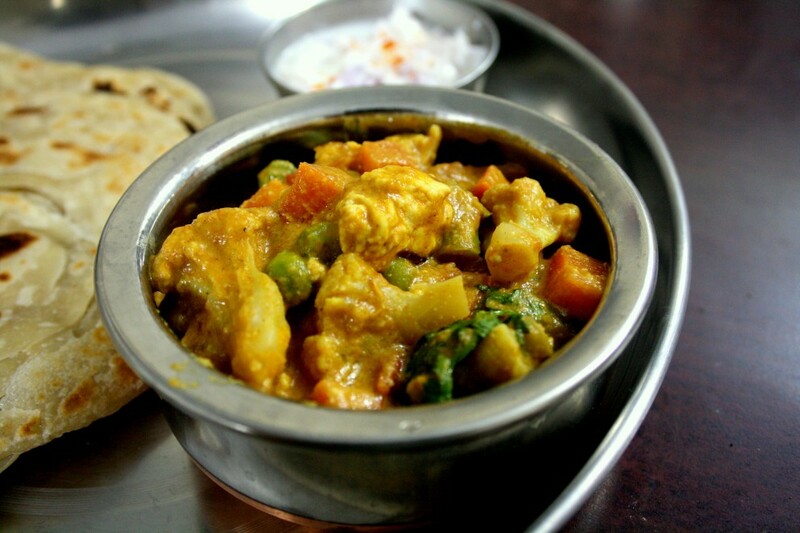 Classically, a korma is defined as a dish where meat or vegetables are braised with water, stock, and yogurt or cream. 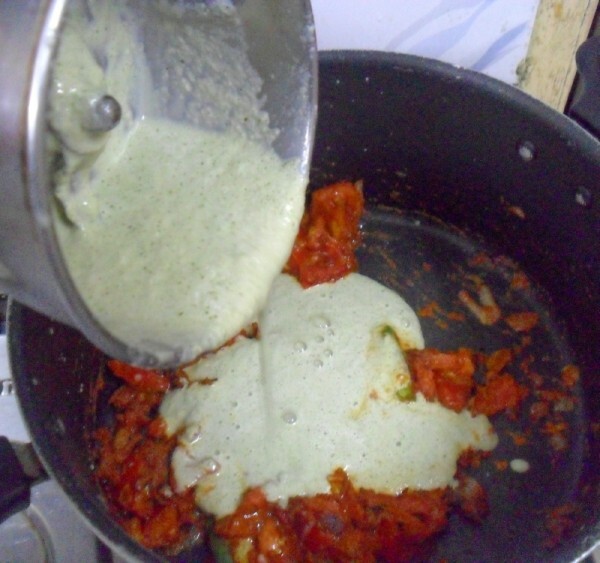 The gravy is made rich by using Yogurt, cream, nut and seed pastes or coconut milk. 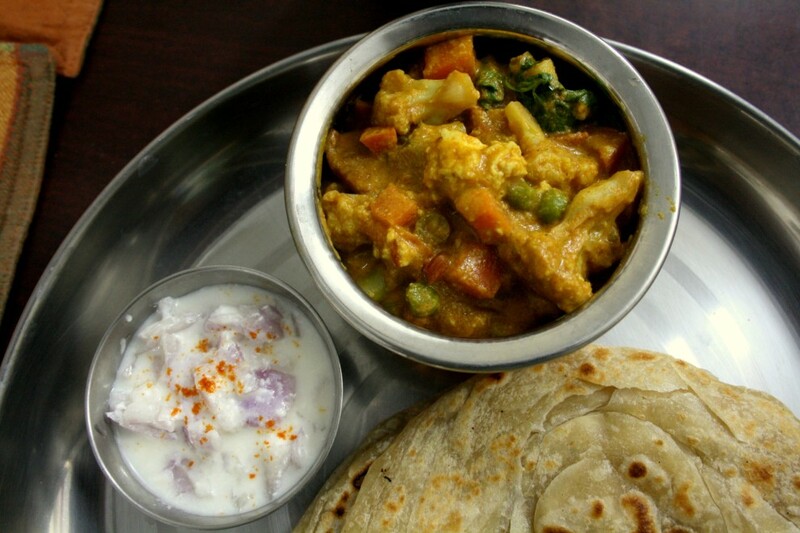 Coming to the type of Kurma I am sharing today, Navratan korma is a vegetarian korma made with vegetables and either paneer or nuts or sometimes both.”Navratan” means nine gems, and it is common for the recipe to include nine different types of vegetables, nuts and cheese. I found recipes with different combinations. 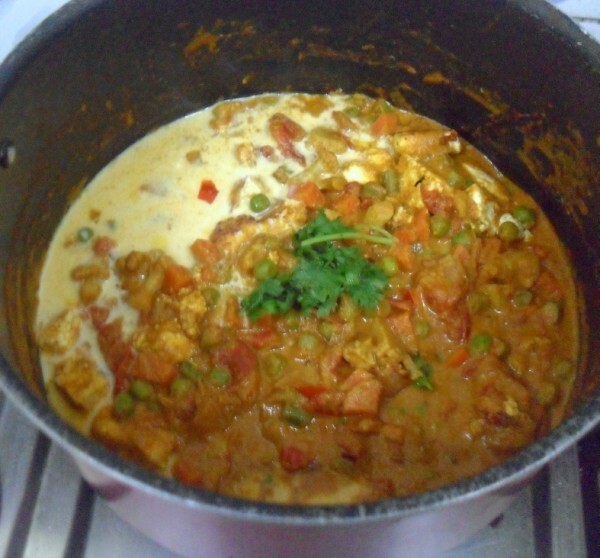 Most of them called for Paneer as part of the ingredients. Given our affinity to this cheese, it is no wonder and of course given the fact that my Kids would love to have paneer in their side dish, I was only keen to include this. The other masala part was something I did as I went ahead with the recipe, including whatever ingredient I could add to make it extra rich. I was pairing it with Parotta and so it has to be quite rich. 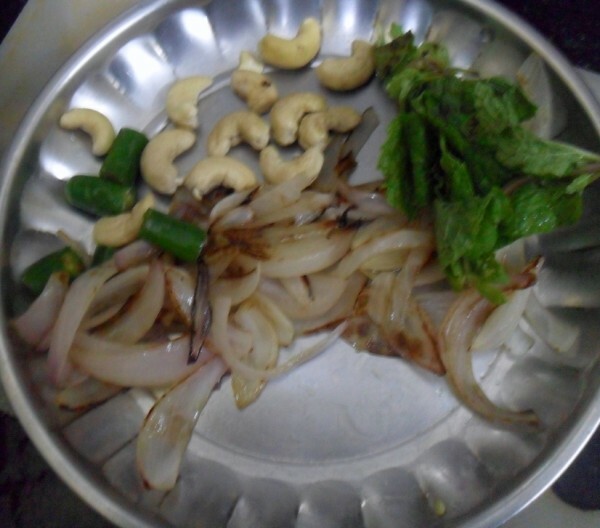 Soak the cashews in hot water for 10 mins. 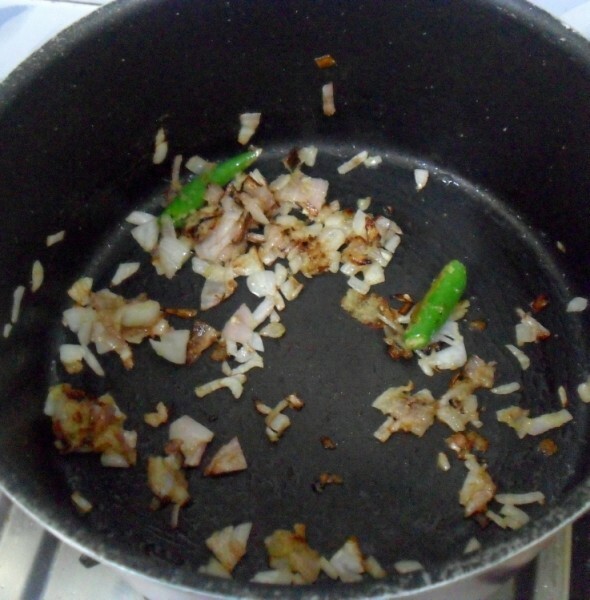 Meanwhile, roughly chop the onions and fry in a non stick pan along with green chilies. Remove to cool and grind to a smooth paste along with cashews and mint leaves. Keep it aside. Clean and soak the cauliflower in salted hot water for 10 mins. Chop all other vegetables and along with drained cauliflower, MW for 10 mins with just enough water. Keep it aside. Cube the paneer in a tsp of ghee till golden and keep it aside. 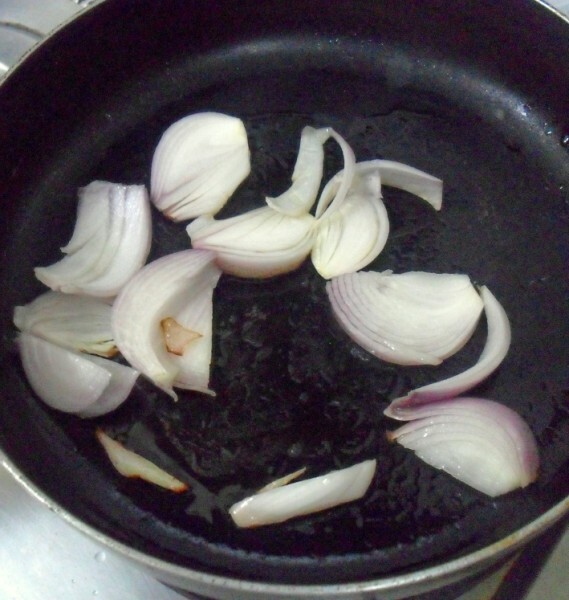 Heat a non stick pan with oil, fry the finely chopped onions. Add the ginger, garlic paste and fry for another 2 minutes. 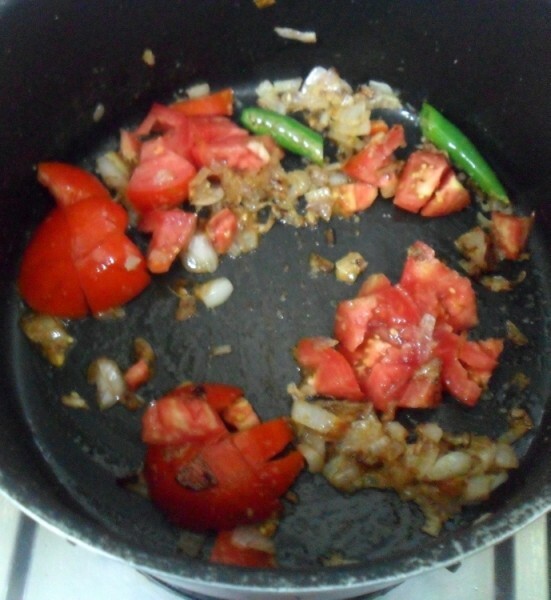 When the colour turns, add the tomatoes, turmeric powder, coriander powder, chilli powder, garam masala, cumin powder and salt and fry for 5 minutes in low heat. Next add the cooked vegetables, combine everything. Then add the milk, cream and ½ cup water to boil. 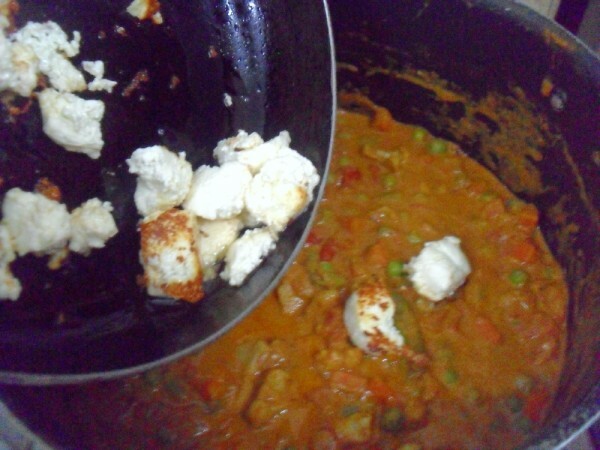 Finally everything comes together, add the fried paneer and cook for a few minutes. Finally add chopped coriander leaves and serve hot with parotta/ roti or even pulao. Sending this for my Side Dish Mela, do check out the Cookbook giveaway that is open until Sep 20th for the readers! very very delicious navaratan korama 🙂 looks fabulous and super tempting dear !! 🙂 very inviting platter !! 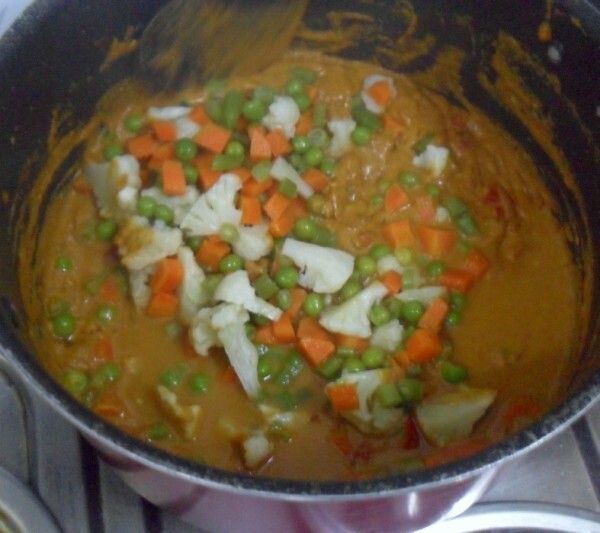 I've made Navratan kurma for one of the previous BMs and really enjoyed it.. Yours looks amazing. This is the Kurma which is served in restaurants..perfect recipe..the addition of chaar magaz makes it more rich but very well made ..and the parathas go so well with the dish. Coming to think of it, very few of the kurmas are tomato based. Most of them are nut based or cream based!! Never noted it before…And your version looks superb! 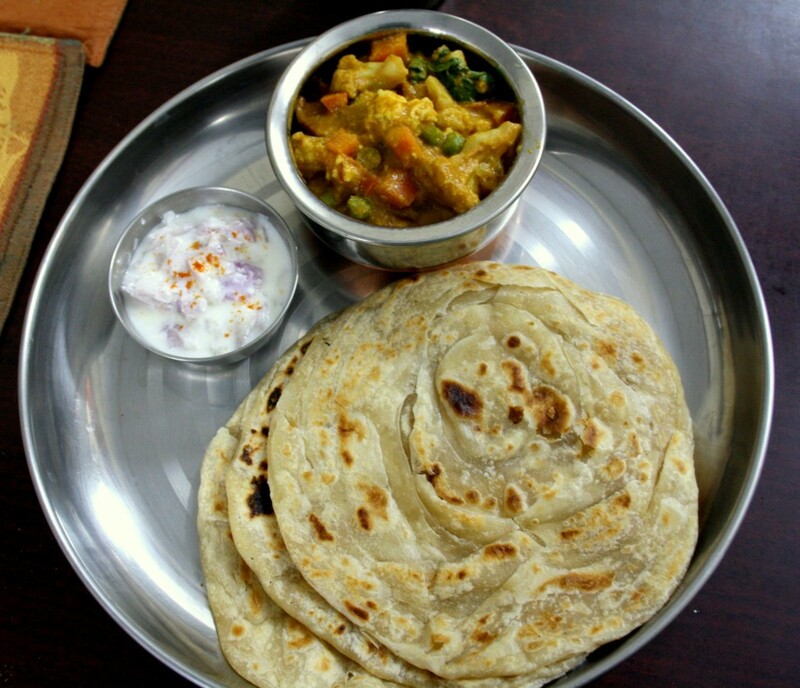 Fingerlicking kurma, that too navratan kurma with parotta,i can die for this combo..Wonderful platter. The cashew-onion paste is the best combo to make any gravy delicious. Should make this often. Lovely clicks Valli. I shall definitaely try this. It has no sugar in it. The one that we get in Mumbai is so sweet that I just don't like it and so have never made it. 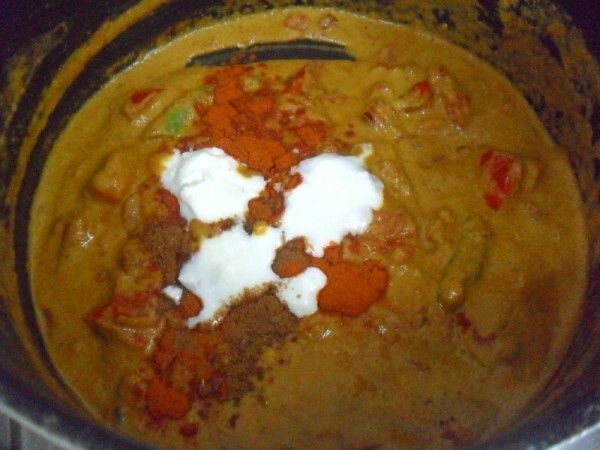 Look so delicious and love the addition of cashew paste which give nice and thick creamy texture to korma. love these yummy gravies … but tell me, doesnt this kurma gen contain apples, pineapples and some dry fruits too ? I rem having them in bangalore , and they tasted rather sweet a couple of times….